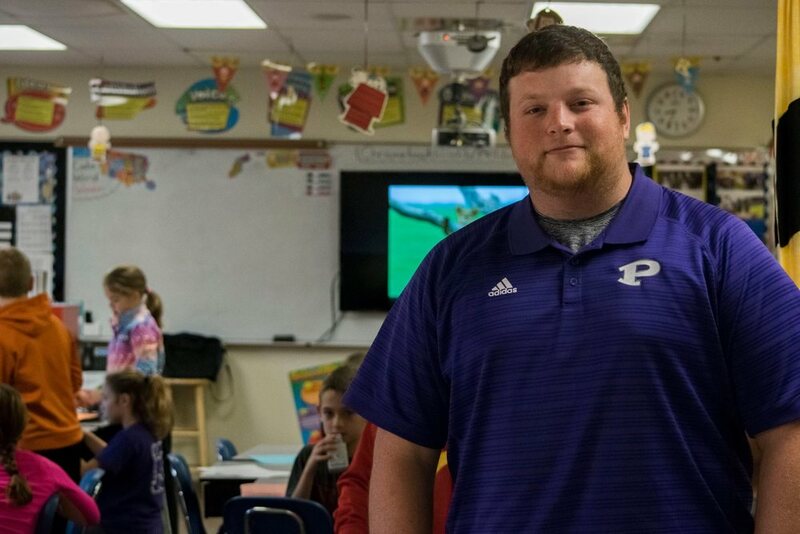 Broc Bennett has been a paraeducator at Lakeside for three years and a wrestling coach for five but a Pittsburg Purple Dragon for most his life. Bennett uses his experience as a way to promote Dragon pride to children. "I went through elementary here at Lakeside and had several teachers who are still here. It's interesting going from being a student to now working with teachers." "Having that experience has created a great bond when working with teachers. I've always been active in working with the youth, whether it was kids club wrestling or youth leadership programs." "I know what being a Dragon is all about. I spent time in sports and school activities. I tell the students that being active in school will benefit them in their futures and help them be a successful student. Bringing that perspective to students is rewarding."